Operation means the entire chain process of work. Management means the proper utilization resources. Operation management is a process, we can use in any manufacturing industry. It involves the whole type of management work that to be needed to convert the raw material into the final product. The “Operation Management” is a function of implementing the strategy, design and process in product development, maintenance, quality, supply chain and inventory planning”. Get Latest Career Notification about MBA in Operations, by entering your details below. It deals in responsibilities and decision-making and control over the entire work scenario in a company. Operation manager is one of the responsible and vital designations for any organization. Operation management ensures that product is obtained in the efficient, cost-effective way by meeting the standards of customers. Operation management involves the strategic and tactical issues like location of manufacturing plant, structure of service, structure of supply chain, layouts, equipment selection, production schedule, project management methods, quality control, material handling and maintenance. Candidate must be able to understand the series of processes within in a organized so that the work can be done efficiently. Good communication Skills – An operation manager should have effective communication with staff members, their superiors and with customers so that the organization can smoothly. The role of operation manager is to oversee the production of goods and services in an organization. They administers various departments, such as purchasing, warehousing, and manufacturing. 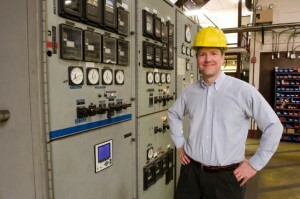 An operation manager has the responsibility to make sure that company is running smoothly and effectively. It is the duty of an operation manager to see that the services/products provided by their company meets the expectations and requirements of customers and clients. There is a scope of doing certificate courses or B.Sc in operation management after the 12th. 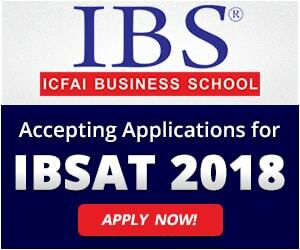 You may choose the BBA programme after the completion of your 12th standard. Basically, Operation Management is a specialization of management administration or management study. If you have completed your plus two educations and wish to build your career in operation management, you should have leadership skills, deep knowledge in the process of your field and you must have the national and international level competence. In this course, the students are taught about the strategic management, HR development, supply chain management, production management, quality management and leadership & managerial skills. To get the admission in MBA in operation management, you must be appearing in entrance examinations after the completion of your graduation. After 12th you may go for the Integrated MBA (5 Years), B.Sc in operation management, or certificate programme. Some of the affiliated universities conduct their own admission examination. You can do the professional course in operation management while you had any stream in qualifying examination like engineering, medical, science, art and humanities. Candidates can appear in the CAT 2019, MAT 2019, XAT 2019, ATMA 2019, CMAT 2019 & other entrance test to get admission in management courses. The huge field for the career opportunity is ahead of the professionals in operation management. It is a good field for the career and job opportunity. The best part of this specialization is that, this fits in any industry, if it may the IT, Insurance, finance, manufacturing, HR, hospitality, retail, construction, transportation or consulting firm. It is a well-paid field. A well-experienced graduate in OM specialization can earn the 2 lakh to 3 lakh per annum. The remuneration is a subject of the geographic location, profitability, personal qualification and experience and organization level. Within 3-4 year of experience you may earn 40000 – 60000 per month or more. 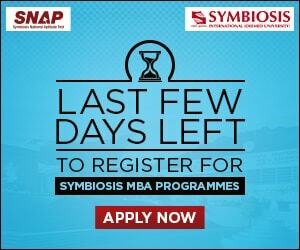 For any queries regarding MBA in Operations, you may leave your comments below. Sir i have completed my frst year of mba n m plannning to take operations as my specialization and in UG i have done b. Com. Can i opt operations as my specialization. i just completed my 12th in science stream having maths.. so nw interested in psychology..
what say, if i take BA in psychology, then MBA in HR? hw is this path? secure? I am confused what group to take after 12 !anyone say me plzzz ….i am planing to do CA and complete B.COM and M.B.Aso plz guide me anyone…….!!!!! Sir I am mechanical engg in well-known group from last 3 years and pursuing MBA need to choose 2 branch, in future interested to set up business(entrepreneur) hence my mind diverted towards finance and marketing. But my carrier growth I have to choose Operation and marketing, in such case kindly suggest me best decision.